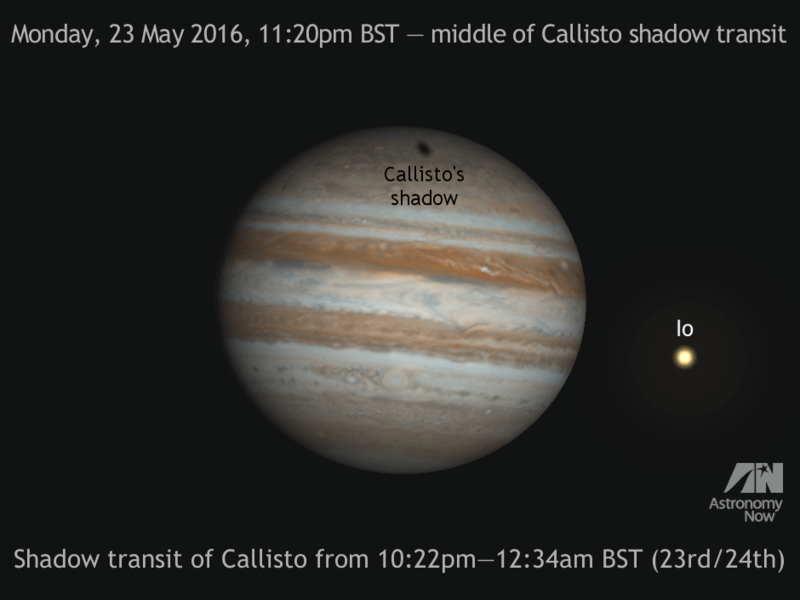 On the night of 23—24 May, clear UK skies will permit you to observe the shadow of Callisto, Jupiter’s outermost Galilean moon, crossing the northern polar regions of the planet. The event lasts from 10:22pm BST on Monday, 23 May until 12:34am BST the following morning. Phenomena of Jovian moons Io, Europa and Ganymede are also listed in the article below in addition to the planet’s Great Red Spot. AN graphic by Ade Ashford. All dates and times in BST. This anticyclonic storm found just south of the planet’s South Equatorial Belt (SEB) has been observed for around four centuries. Although it is presently somewhat smaller than in recent years, the GRS presently makes up for that by taking on a distinctly reddish hue, making it easier to see in 3-inch (7.6cm) aperture telescopes, or larger. The Great Red Spot is easiest to see when it crosses the imaginary line joining Jupiter’s north and south poles that passes through the centre of the planet’s disc. At such times we say that the GRS is ‘in transit’. For observers in the British Isles, conveniently observable transits of the Great Red Spot occur during May on the following dates and BST times: 10 (2:22am & 10:14pm), 12 (11:53pm), 15 (1:31am), 17 (11:01pm), 20 (12:40am), 22 (10:10pm), 24 (11:49pm), 29 (10:58pm). You can obtain GRS predictions for yourself, in addition to phenomena of the Galilean moons Io, Europa, Ganymede and Callisto, for any given date or location in the world through our interactive online Almanac. Note that the Almanac’s predictions of Jovian phenomena use 24-hour Universal Time (UT) — a global time reference based on the rotation of the Earth loosely synonymous with Greenwich Mean Time (GMT) that is one hour behind British Summer Time (BST) currently in force. Always ensure that the Almanac’s Daylight Savings Time check-box is ticked if applicable to your date, time and location. For help using the Almanac, see this article. 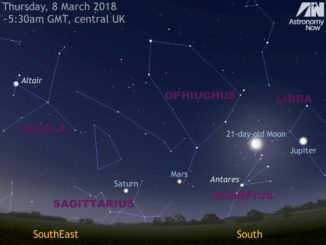 Find out all you need to know about observing Jupiter and the other solar system bodies currently in the night sky in the May 2016 edition of Astronomy Now. 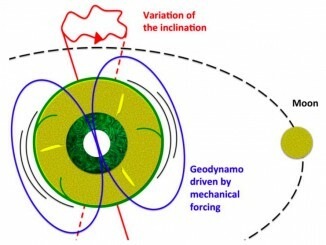 The Earth’s magnetic field is produced by the geodynamo, the rapid motion of huge quantities of liquid iron alloy in the Earth’s outer core. 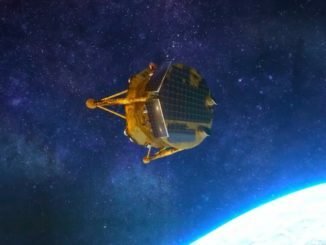 A team of French researchers suggests that elastic deformation of our planet’s mantle due to tidal effects caused by the Moon — overlooked until now — transfers energy to the Earth’s outer core, keeping the geodynamo active.